Colour: Transparent with a yarn to facilitate flow controls. Technical Features: flexible hose made from TPE hygienic rubber reinforced by high tenacity polyester yarn. Inside and outside completely smooth to enhance flow properties and allow easy cleaning and sterilization processes. Standards: Food grade according to the EU Regulation n° 10/2011 , FDA regulations (Title 21 CFR 177.2600 for aqueous foods (e)). Compliant with the pharmaceutical standards USP CLASS VI. Resistant to hydrolysis and proliferation of bacteria. Curing-free material: Pharmapress does not need any vulcanization process, therefore it prevents the risk of leaching of curing agent residues into the end product (peroxide or platinum volatile rests) and allows to save energy sources and limit CO2 emissions. 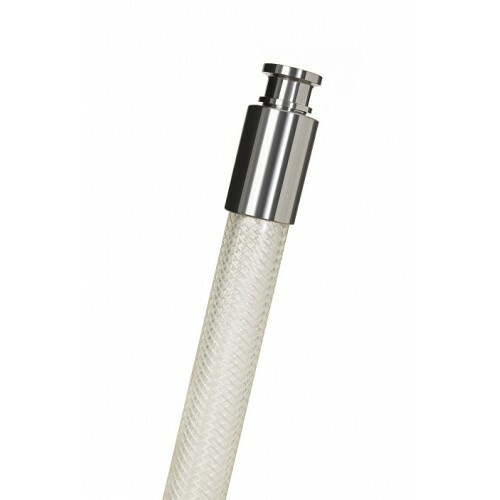 Versatile delivery hose designed to convey food, cosmetic, health care and pharmaceutical products. Suitable for a manifold range of media such as premium wines, fruit juices, vinegar, spirits with alcoholic content up to 96%, creams, soaps, milk and by-products; also resistant to products containing oils and fats in accordance with EU Regulation n° 10/2011.